When it comes to celebs, we often see them as a one off, unless of course their siblings enter into the fray as well. But the story becomes very different when the sibling decides to stay out of the limelight. So it can sometimes be shocking when a sibling of a famous celebrity emerges, especially when that sibling is actually a twin! Can you see the resemblance between these famous celebs and their twins? Vin Diesel has been very secretive about his brother, who has spent his time behind the camera as a film editor. 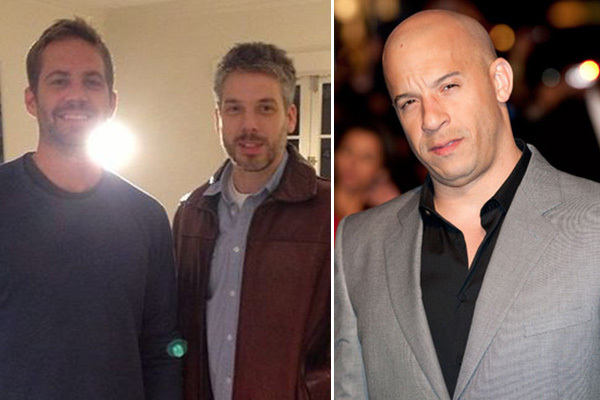 The press has always wanted a picture of Paul Vincent and would post unfair photos, and so Vin decided to reveal what his brother really looked like … by placing him next to Paul Walker. It is somewhat shocking to see that Paul Walker looks more like Vin’s twin brother than Vin does.